Slow going summer? Then let us help you get your creative juices flowing! M2 Photography Studio is currently conducting workshops that will surely keep your creativity ignited this summer season! 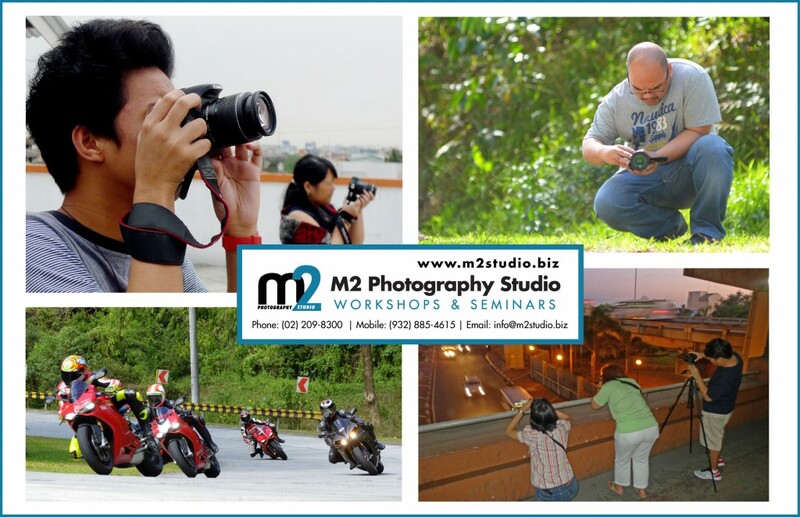 With the arrival of the summer, M2 Photography Studio continues its workshop series starting with a 2-day basic photography workshop @ M2 Photography Studio in Bangkal, Makati on April 27 & 28 | 9:30AM to 6:00PM. This entry was posted in Workshops and tagged advanced photography, amateur, arie roque, basic photography, beginner, cameras, conceptual, creative, DSLR video, edwin celestino, lighting, mike mariano, photography 101, photography 201, video production, videography, videography 101, workshop, workshops on April 25, 2013 by Studio Manager.